Our success is like a puzzle. Every piece is important and we couldn’t do it without the support from all our customers, donors, volunteers and employees. Every person plays such an important role in our helping give homeless pets a second chance at life. If just one piece were missing…we wouldn’t be successful. 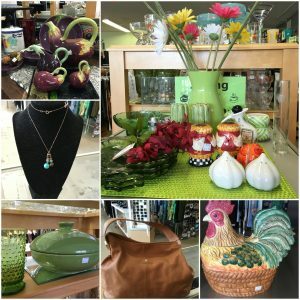 When you shop at our store, you are shopping for a higher purpose. Not only do you find great treasures at bargain prices, but you also give hope to homeless pets. When you clean out your closets to donate, you make a difference. The quality of the donations continues to amaze us. The Second Life team is amazing! Our volunteers are truly the heart of our organization. Their dedication helps us grow our mission and many of the great features of our stores are a result of their ideas and commitment. Throughout the years, they have created a shopping experience that we are proud of and can’t wait to continue. Our employees allow us to provide a consistent level of service. They go above and beyond to make a difference, and they are always thinking about the animals. Our main target is to reach the $1 Million Dollar level in giving grants to animal charities! We are well on our way…and you can help us! Our dreams for the future include figuring out how to help rescues give even more animals a second chance at life. The support of all of you have helped us do things we could not have imagined while sitting in the empty building, wondering what we had just done! We are continuously trying to figure out how to improve your shopping experience, our donation processes and more. We always want to be better. Our goals and mission are much larger than within our 4 walls. Our dream is to open more stores so we can continue to grow our mission. To continue to educate about shelter animals and what amazing pets they make. We want people to be proud to adopt. We don’t want to be known as just a thrift store. We want to be known as an integral part of the community. 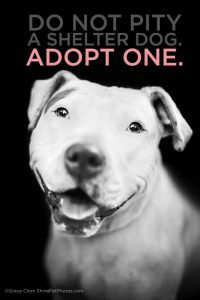 We want to help people be a part of the solution to pet overpopulation. We want to give animals a voice and show that they are amazing creatures that deserve love and kindness. We want to make a difference in the world.